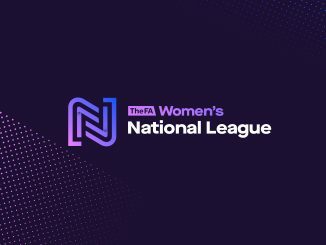 After the second week of FA Women’s National League fixtures, Stoke City top the Northern Premier having put five past Doncaster, Loughborough Foxes lead the Southern following a 3-1 win at Watford. 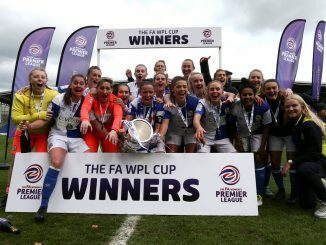 Stoke City went top of the Northern Premier when sending Doncaster to a 5-0 defeat, Hannah Keryakoplis contributing twice and Tash Tezgel with a volley. A Katie Nutter double saw Huddersfield to a 2-1 victory at Guiseley, with the second-placed Terriers doubling their points tally. 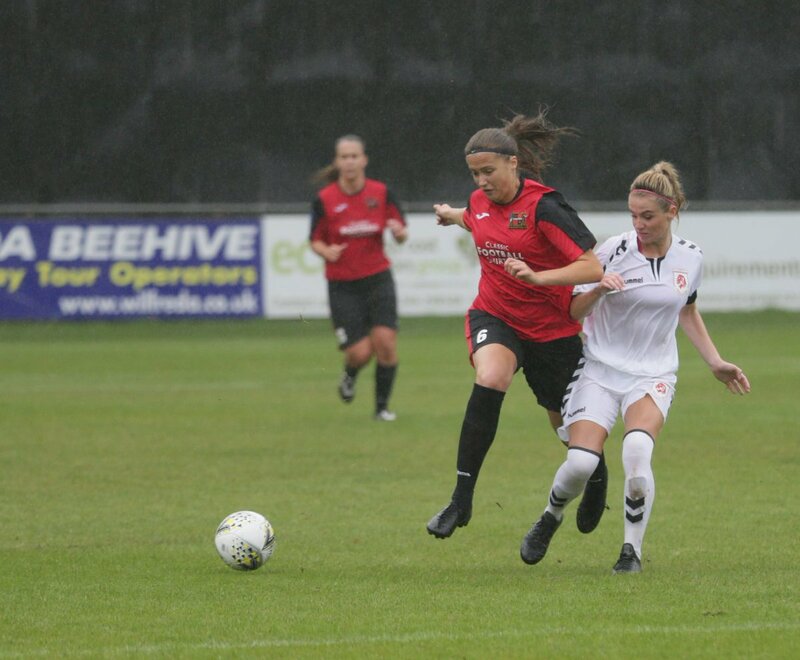 Middlesbrough’s 3-2 win at Sheffield FC had Rebekah Bass and Emily Scarr add to Emma Forster’s early effort. Hull’s first point at this level came in a 2-2 with Derby despite having been two behind. Misty Russell and Liberty Bott replied to goals by Emily Joyce and Andi Bell. Fylde and Nottingham Forest are both on four points after playing out a goalless draw. 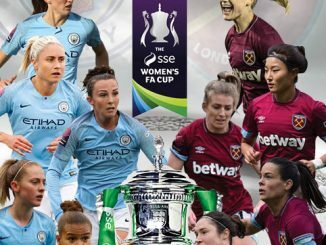 Sunderland got off the mark with a 2-1 result at Bradford where both sides scored a penalty before Keira Ramshaw’s decider. 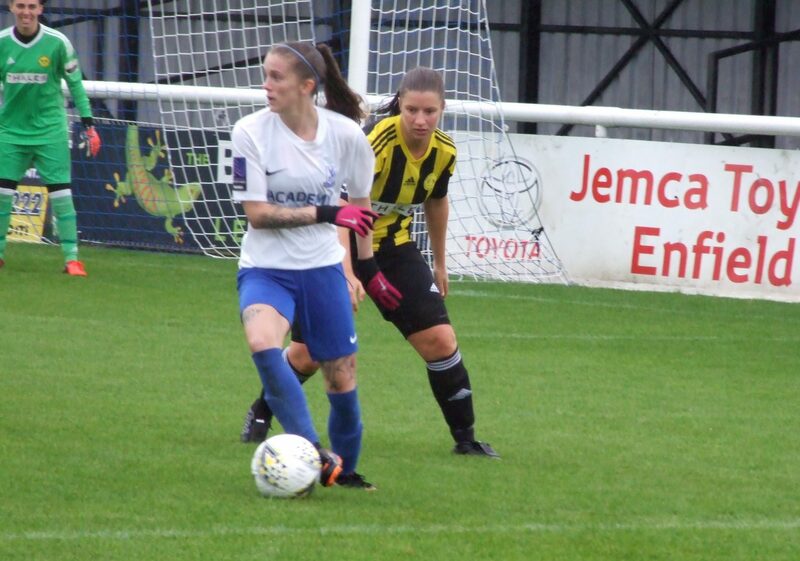 Loughborough Foxes, Portsmouth and Chichester City all maintained their 100% form in the Southern Premier, the former pulling off a 3-1 win at Watford where Charlotte Cooper sealed the points soon after Leanne Bell got one back for the Hornets. Pompey got a 4-1 result against Gillingham with a strong second-half showing. The Gills led at the break through a Maddison Farrand free-kick but Shannon Albuery replied 10 seconds after the interval, Katie James, Jade Bradley and Daisy MacLachlan also getting on the scoresheet. Chichester scored three times without reply at promoted Plymouth, a quickfire Molly Clark double added to late on by Helen Ogle. Coventry did likewise at MK Dons, Chenise Austin, Maz Gauntlett and Louis Jefferies their scorers. It was 3-0 as well for Oxford away to QPR, that already being the score at half-time. Georgia Timms and Flo Fyfe netted, while Kerry Walklett forced an own-goal. Hannah Miles scored twice, Kylie Nolan, Cori Williams and Alice Griffiths one each a Cardiff bounced back from an opening day loss to run out 5-0 winners at C&K Basildon. Jenni Anslow and Billy Haines bagged a brace each as Midlands Division 1 leaders Wolves made it 18 goals in 2 games with a 7-0 defeat of Solihull. West Brom also made in back-to-back wins with a 4-1 score at Long Eaton, Natalie Murray twice on target after United got the opener. Burton are a third side with two victories after a 4-2 success at Steel City, Paris O’Connor featuring with three goals. Bedworth made a winning debut 2-1 at TNS, Jess Lundie and Amanda Whalley turning it around after the Saints went ahead. Substitute Natalie Gibson got the 80th-minute winner for Birmingham & West Midlands against Nettleham. Chester le Street lead Northern Division 1 following a 3-1 beating of Barnsley, Nichole Havery and Lizzy Clarke among the goals. Norton impressively came from behind to defeat Liverpool Feds and in dramatic fashion, Nyci Thorns levelling late on and then grabbing the winner 6 minutes into stoppage-time. Burnley gained their first ever Tier 4 point 1-1 with Leeds, Sarah Greenhalgh their scorer and Hannah Campbell equalising. Newcastle got up and running with a 3-1 result at Crewe, Nicole Dack, Megan McKenzie and Jess Foster scoring. Brighouse also out their first points on the board as Charlotte Proud scored two of their three goals at Morecambe. Billericay blew away Stevenage 6-1 to go top in South East Division 1, aided by braces from Jay Blackie and Sam Pittuck. Crawley are second on goal-difference after battling for the only goal at Enfield, Rachel Palmer finding the net from a long-range free kick. Ipswich’s 5-1 victory at Actonians came despite trailing at the break, Zoe Cossey, Laken Duchar-Clark, Nicole Pannifer, Natasha Thomas and Paige Wakefield replying. Cambridge are on 4 points following a 3-0 outcome at Orient where Kelley Blanchflower struck twice. Wimbledon are fourth having won 3-1 at Luton, helped by a Sophie Manzi double. Norwich and Denham shared four goals as they both got off the mark, Chelsea Garrett scored both for the Canaries. Southampton WFC have won both their games in South West Division 1 after a 3-0 result at Brislington, Jane Yeates scoring twice off the bench. 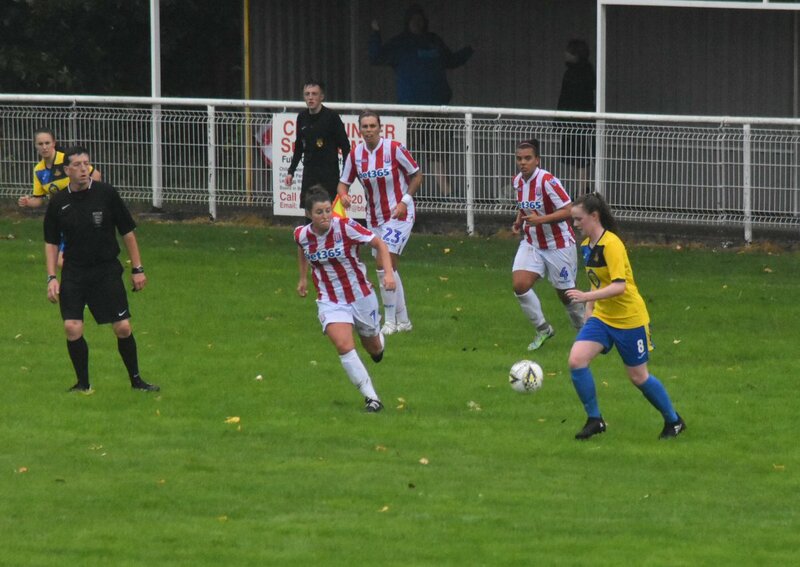 Annie Martin hit a 24-minute hat-trick in Cheltenham’s 5-1 scoreline with Maidenhead – also the Robins second win. Poole’s 6-3 defeat of Larkhall saw Hollie Agombar and substitute Hannah Gould get two apiece.